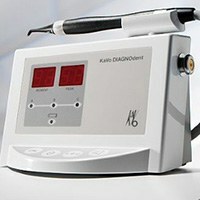 One of the things that makes Lakemoor Dental a the premier practices is our leading-edge technology. Using the best equipment to diagnose and treat oral conditions helps Our Doctors provide beautiful, functional smiles that last a lifetime. The advanced dental implant technology utilized by our Lakemoor Dental team includes a 3D Cone Beam CT Scan, the highest quality dental implants and restorations, and a variety of preventive tests and treatments. If you would like to learn more about our services or schedule an appointment with Lakemoor Dental, contact our practice today. The Cone Beam CT scan is one of our greatest technological assets. Designed to be safer, more efficient, and more effective than a traditional medical CT scan, Cone Beam technology focuses energy directly into the treatment area while minimizing your radiation exposure by about 200 times. After covering your entire body with a lead apron for protection, the scan will rotate 360 degrees around your head, taking 30 images of your upper and lower jaws. 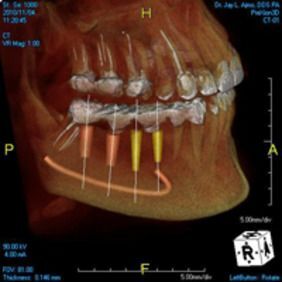 Each 3D digital image can be manipulated and segmented into half-millimeter sections and used to create a treatment plan for dental implant placement, bone grafting, and pathology treatment. 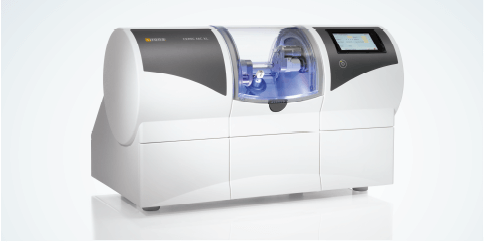 CEREC® CAD/CAM is the epitome of Modern Dentistry. It means that in just 2 hours you can have a crown! There are no temporaries and no need for a second visit. It's a precise fit. 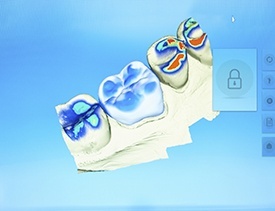 CEREC® CAD/CAM is less invasive and delivers durable, natural looking crowns in a snap. 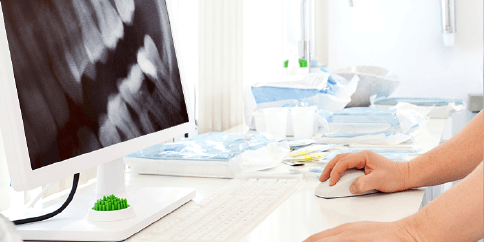 Electronic Dental Records are an integrated part of our practice management system. Our paperless system delivers electronic charting, digital imaging and enhanced case presentation where it is needed most... at chair side. 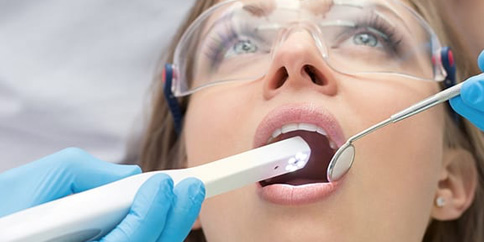 Lasers are a non-surgical approach to arresting the progression of periodontal disease. 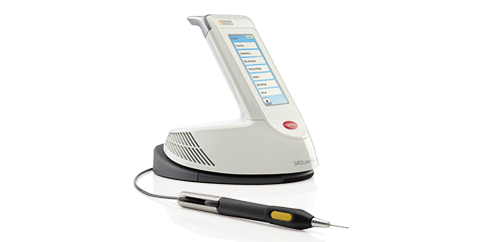 Following scaling and root planing, a laser is used to significantly reduce the bacterial colonies and decontaminate the infected periodontal pocket. Lasers also remove the infected tissue lining the periodontal pocket. As the infected tissue is removed, microscopic blood clots form and your body's natural healing response takes over. As you heal, the tissue reattaches to the bone and your gums return to a healthy infection-free state. The development of cavities is a gradual process, and our team will always strive to identify and treat them at their earliest stages. 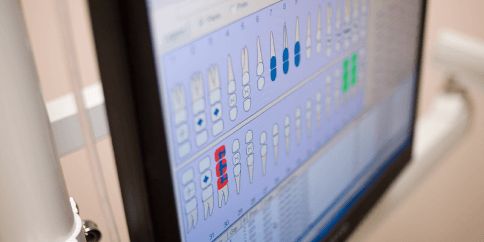 To that end, we use the Logicon Caries Detector from Carestream, which has been clinically proven to help dentists locate up to 20% more instances of tooth decay than traditional diagnostic methods. 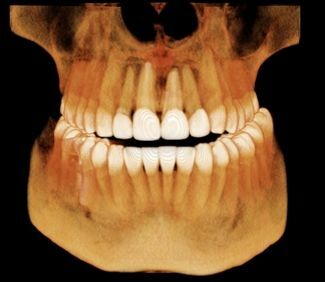 This comprehensive and precise approach allows us to determine on x-ray the extent of existing decay and walk our patients through this diagnostic process.